Technology-Portfolio.Net - In 2019, Oppo changed the criteria from "Selfie Expert" to "Brilliant Portrait". 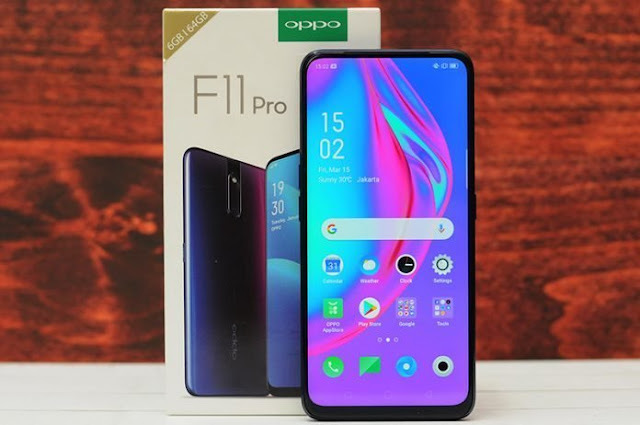 This new jargon is intended for the new Oppo product, the F11 Pro, which has just been launched. Brilliant Portrait was chosen as Oppo's new jargon because the F11 Pro put forward the main camera. The portrait mode that produces a bokeh effect on the F11 main camera series is the new focus of Oppo. Besides the camera, Oppo also presents another interesting feature on the F11 Pro. 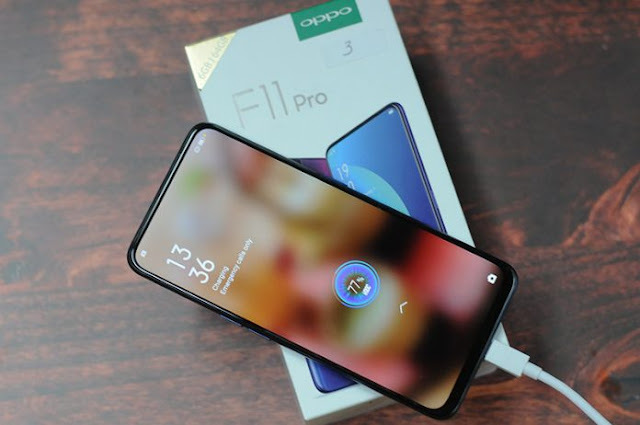 Oppo F11 Pro carries 4 main features, namely the rising camera, 48MP main resolution camera, full screen and fast charging feature VOOC 3.0. 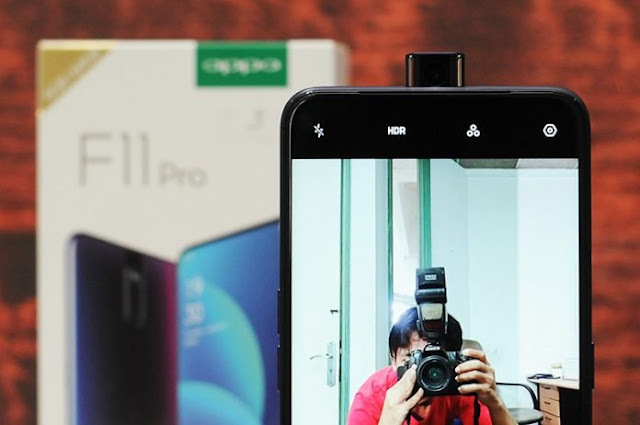 The Oppo F11 Pro features a pop-up selfie camera called Rising Camera as the main feature. Rising Camera is able to open automatically when you want to access the selfie camera menu. Rising Camera Oppo F11 Pro can last up to 100 openings a day. The time period is 6 years. Placing the Rising Camera in the center parallel to the location of the rear camera creates a symmetrical aesthetic and balance. The position of the Rising Camera Oppo F11 Pro in the center aims to avoid image distortion. If placed on the side, of course there will be image distortion. That way, the selfie results look more natural. Rising Camera is 16MP resolution with F / 2.0 diaphragm. 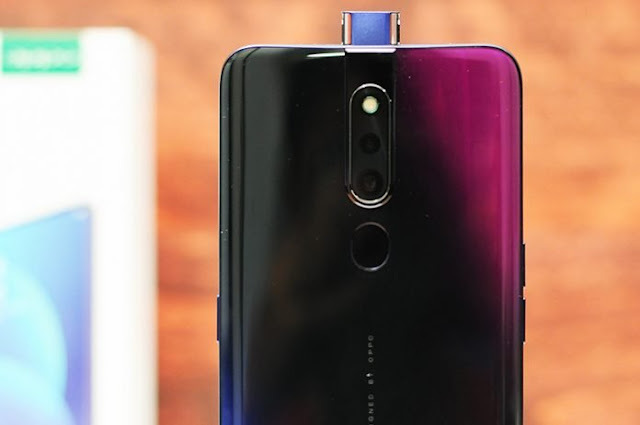 The Oppo F11 Pro selfie camera is able to identify faces with a total of 137 points that can be identified by the addition of 31 new recognized face points. That way, the selfie camera produces accurate identification of the face. In addition to the selfie camera, the main camera is also the hallmark of the Oppo F11 Pro. Oppo F11 Pro is equipped with a dual main camera with 48MP and 5MP resolution. The main lens uses a 48MP resolution sensor with an aperture of f / 1.79. This main lens can increase sensitivity to light and increase the light entering through the lens. The presence of a 6P lens makes the sensor can produce brighter images. The support of Tetracell technology on the main F11 Pro lens is able to analyze and combine data obtained from four adjacent pixels. The goal is to make it equivalent to a single pixel size of 1.6µm. Furthermore, this technology will double the size of pixel sensitive photos, so as to capture brighter portrait photos and minimal noise at night. In very bright conditions, the sensor can capture high-resolution images up to 48MP. For photos in low light conditions, you can also rely on Nightscape mode. Nightscape mode can increase exposure in low light conditions. Chroma Boost mode, AI technology, bokeh effects and more are the hallmarks of the Oppo F11 Pro. While the 5MP secondary resolution lens with depth sensor and aperture f / 2.4. The Rising Camera design makes the Oppo F11 Pro display look wider. 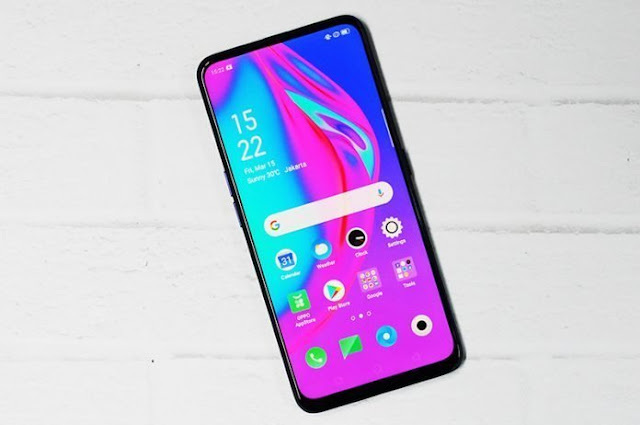 The Oppo F11 Pro screen looks full also thanks to the support of aspect ratio 19.5: 9 and screen-to-body ratio of 90.9%. The light sensor is placed hiding in the speaker hole located between the edge of the frame and the glass surface, with a thickness of 0.5mm. While the infrared sensor is placed below the screen. The screen size is 6.53 inches with FHD plus resolution. 60 fps frame rate support, making you feel the best experience when watching videos and playing games. The Oppo F11 Pro is supported by VOOC 3.0 fast charging technology that allows faster smartphone charging. VOOC 3.0's fast charging technology has been upgraded compared to its predecessor. With the new FCC algorithm, VOOC 3.0 can regulate high voltage when doing a tickle charging. That way, it can shorten the overall charging time for up to 20 minutes. This means that the F11 Pro can be fully charged within 80 minutes.